Fuel, Battery, Spark Plugs, Engine Tune, Test Runs, Trailer Prep, Pressure Checks, & More! Precision Marine and Motorsports in Brentwood NH has over 20 years of experience servicing and repairing marine and motorsports. Our work is driven by passion. The passion that the owner Todd Smith has occurred from his personal experience in the different fields. He was a factory sponsored snowmobile racer and has been involved in these industries his whole life. See more about us here. Along with services we also have new & used boast for sale in NH here. I just bought my second boat from Todd and I am very happy with my new purchase once again you have pulled off the impossible for a short deadline! Thank you, guys!!! Great people, great service, and great products. Thanks for the awesome boat and the time you spent covering the features out on the water! Brought my boat to Todd’s shop for some repairs! They did a great job, fixed everything that was wrong, winterized it and wrapped it! Since we are your local boat shop, you get to talk directly to the owner of the Precision Marine & Motorsport. We strive to provide the best experience and solutions for our customers. We are an official boat dealer in Mirrocraft, Pioneer, and Montego Bay. That can deliver boats fully-registered with all requirements completed to where ever you are. Do You Need Repairs Or Service? 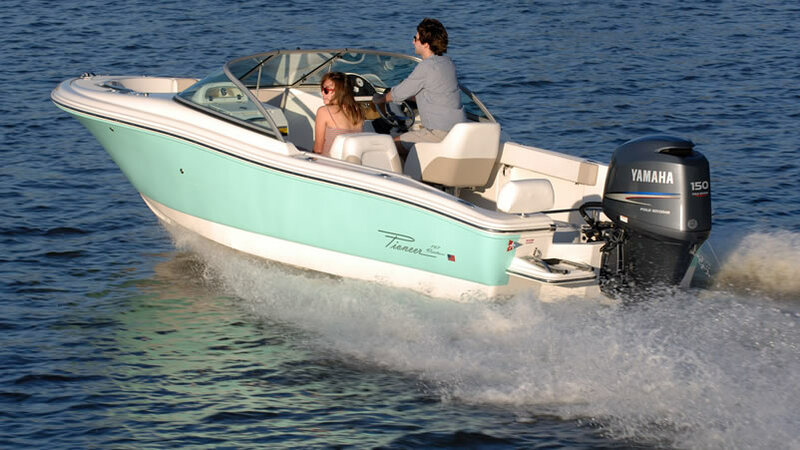 With over 20 years of experience Precision, Marine & Motorsports in Brentwood, NH has the knowledge to service or repair your craft.